The orcas, like all orcas, are highly social. The Southern Residents, as this group is called, stick together in three pods of about 19 to 35 members. But these particular black-and-white beauties have befuddled biologists; their numbers seem to be stuck at around 80 individuals (despite eight new calves born in 2015). The stagnation, recent research shows, may largely come down to the fact that these orcas are picky eaters whose primary food source—salmon—are having population problems of their own. In the late 1800s, the Southern Residents numbered around 200, but over the last century or so their ranks have shrunk by 60 percent. The population has been considered endangered since 2005, and laws prohibiting the hunting or capture of orcas for aquariums have been on the books for decades. But these whales aren’t bouncing back. A study conducted last year by the Canadian government found that 98 percent of the orcas’ diet consists of salmonids, a fish family that includes sockeyes, steelheads, and Chinooks. Another study, released in January, found that between May and September, Chinook alone make up nearly 80 percent of the whales’ diet. 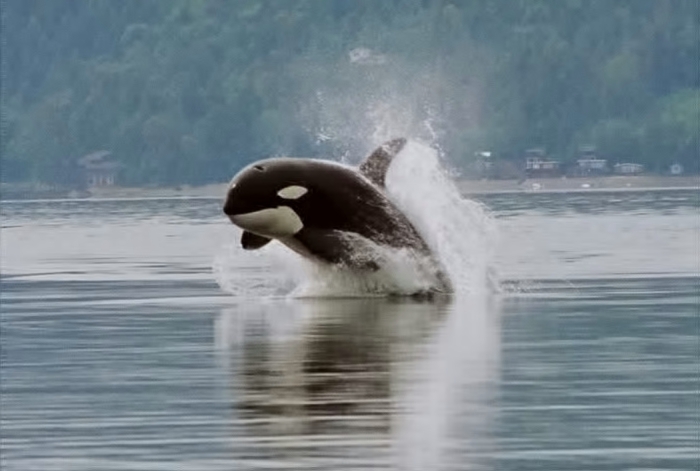 Orcas are big animals with big appetites, and the influence of salmon loss on the Southern Residents could be greater than that of pollution, noise, boat disturbance, and even a potential oil spill, according to a 2015 study by the Raincoast Conservation Foundation, an environmental organization based in Canada. The RCF calculated that a 10 or 20 percent drop in the number of salmon making it to the ocean would increase the probability of the whales’ extinction by 4 and 30 percent, respectively. The salmon in question spawn and hatch in the Snake and Columbia Rivers and then make their way to the ocean, where they provide nourishment for hungry orcas. Environmental groups think that by protecting these fish, they can help boost the whales’ numbers as well. As with orcas, salmon numbers have dropped over the past century, most dramatically after the completion of the four Lower Snake River dams during the 1960s and 1970s. The hydroelectric project, the largest single source of electricity in the Northwest, cut the river’s spring/summer Chinook salmon return rates by a quarter. By the 2000s, NOAA had declared the once-abundant sockeye salmon species endangered and three others in the Columbia River Basin threatened, including the orcas’ favorite, the spring/summer and fall varieties of Chinook. Juvenile salmon, or smolts, hatch in the fresh, cold waters of the two rivers before eventually making their way downstream to the Pacific. After two to three years at sea, they famously return to their riverine birthplaces to spawn the next generation. Researchers keep close track of the smolt-to-adult return rates to determine how well the salmonid populations fare on this long, difficult, and often fatal journey. 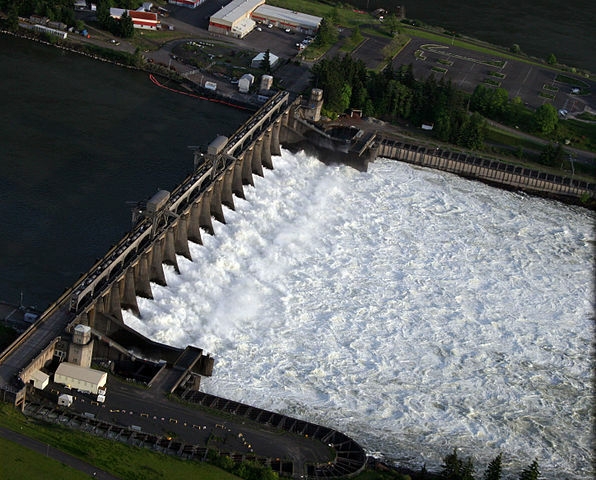 By adding fish ladders and increasing the dams’ water spillage, the Army Corps of Engineers and the Bonneville Power Administration (BPA), the government agency responsible for delivering electricity from the dams, have taken steps to help the salmon survive the journey. Even so, smolt-to-adult return rates rarely achieve the Northwest Power and Conservation Council’s recovery goal of 2 to 4 percent. Many studies point to the dams as a cause of the delayed mortality of the fish (they don’t typically die immediately after getting through but perish later from the stress). And while some salmon make it to the ocean, fewer and fewer are doing so, and thus there’s less and less food for orcas. Hatchery salmon, reared in captivity and then released into rivers, have somewhat mitigated the loss of wild salmon for the whales, but this helping hand may not be enough to counter the declines. During the 1990s and 2000s, for instance, the wild spring/summer Chinook salmon population were returning at rates 75 percent lower than before the dams’ completion. Factors other than dams might be contributing to the salmon’s decline. Studies show that salmon return rates decrease as ocean conditions become warmer due to climate change. And BPA-funded research postulates that another, unknown killer strikes sometime after the salmon’s first month at sea. On land, the West’s paltry snowpack in recent years may also be playing a role, causing less freshwater to flow into rivers during the spring and summer months. In July of last year, low snowpack and resulting higher water temperatures combined to kill around 250,000 fish, says Bogaard. Removing the dams, some conservation groups argue, would bring the long-term culprit to light. But that likely won’t happen anytime soon. Dam proponents say that they generate 5 percent of the Northwest’s power and that their absence would harm the region economically. On top of that, they say, dismantling the dams would cost $1.5 to $3.8 billion over 10 years. But Jim Waddell, who served in the Army Corps of Engineers for 35 years, says the removals wouldn’t be the billion-dollar project the BPA claims it is. His 2015 analysisputs the figure at around $380 million. As for those who say tearing down the dams would diminish the Northwest’s power capacity, Waddell points to a 14 to 15 percent energy surplus in the region. Without the dams, he says, the surplus would be around 11 percent. Early last year, nine whale researchers sent a letter to Washington Senator Patty Murray. “Breaching the four Lower Snake River dams is the single most likely measure to restore the abundant Chinook salmon runs the whales need to recover,” they told her. They’re waiting for a response, but so far, nothing’s biting. This story was originally published by On Earth, the magazine of the Natural Resources Defense Council of the United States. Read the original story here.